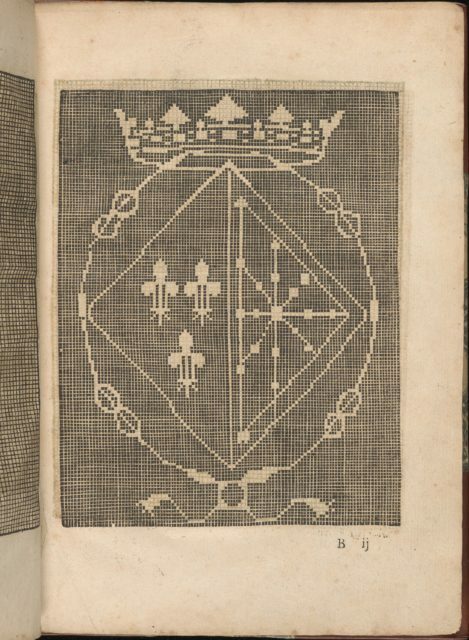 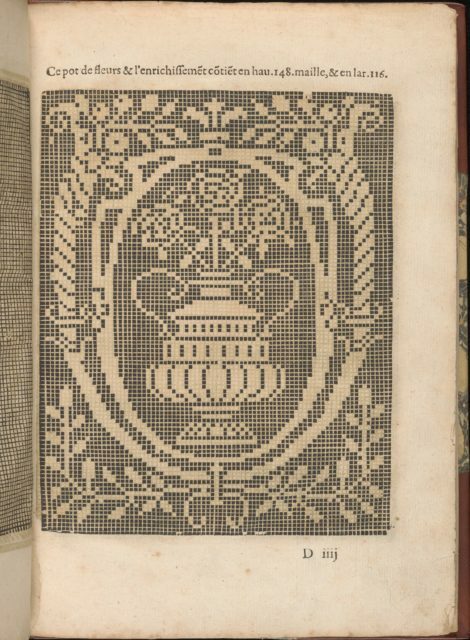 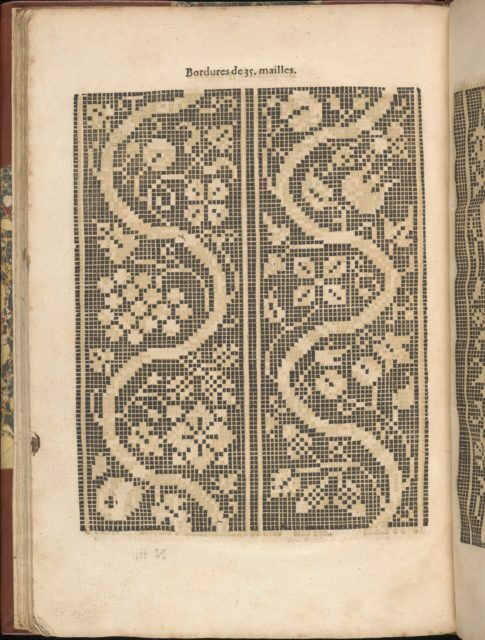 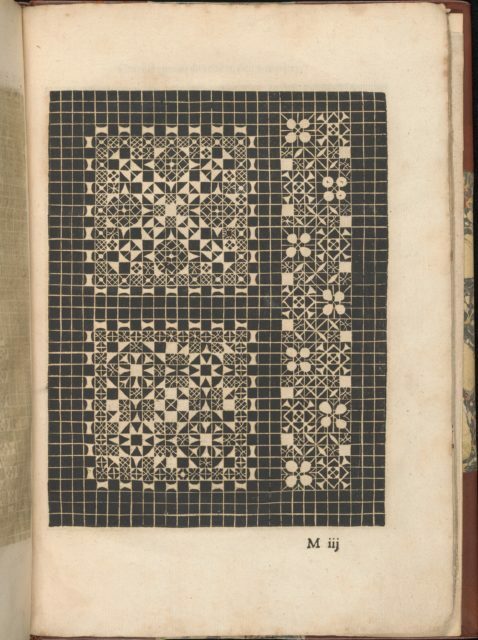 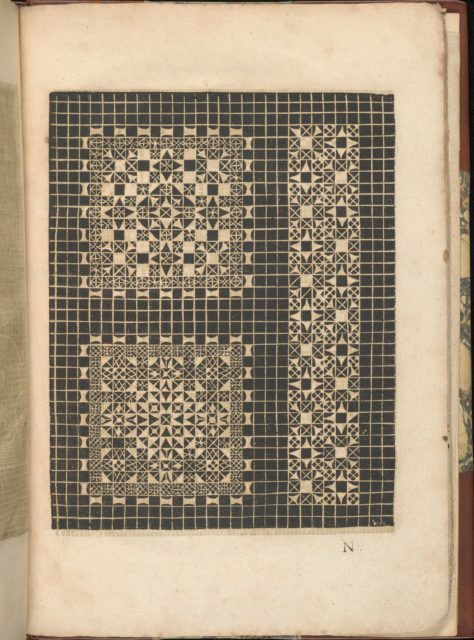 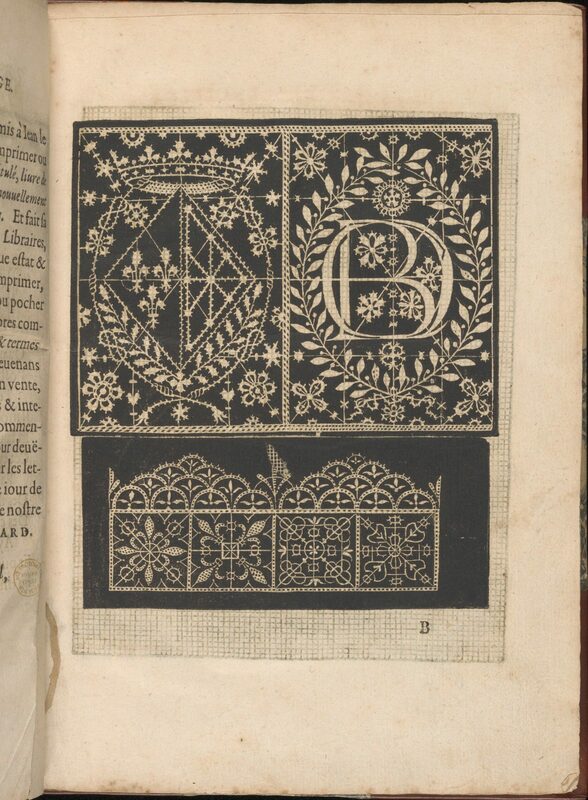 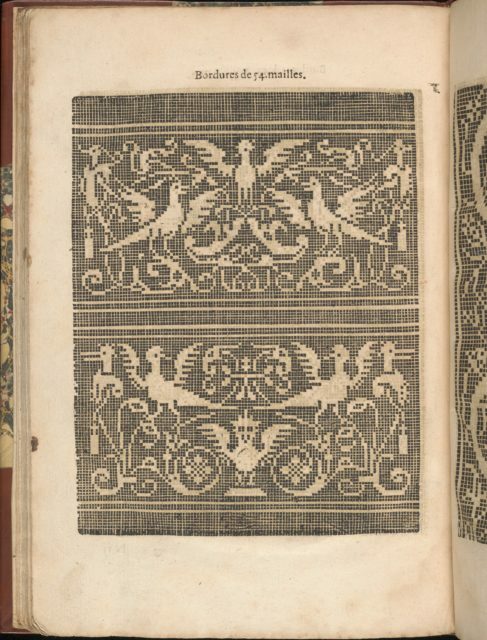 Designed by Federic de Vinciolo Venitien, published by Jean Le Clerc, Paris, dedicated to Catherine de Bourbon, French, 1558-1604.From top to bottom, and left to right:Design composed of 2 sections. 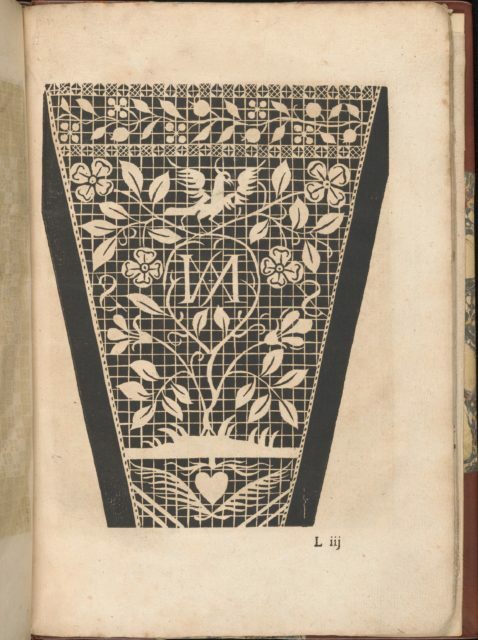 Upper section is divided into 2 vertical columns: left column is decorated in the center with a coat of arms that is surrounded by floral and foliage elements, and right column is decorated in the center with a "B" superimposed by an "O", which is encircled by a vine of leaves and further surrounded by flowers. 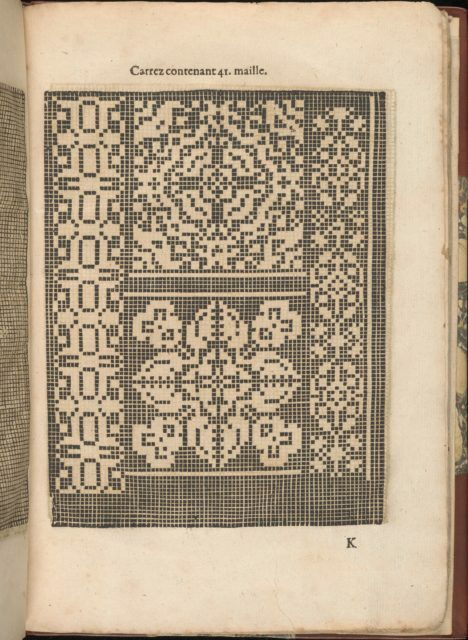 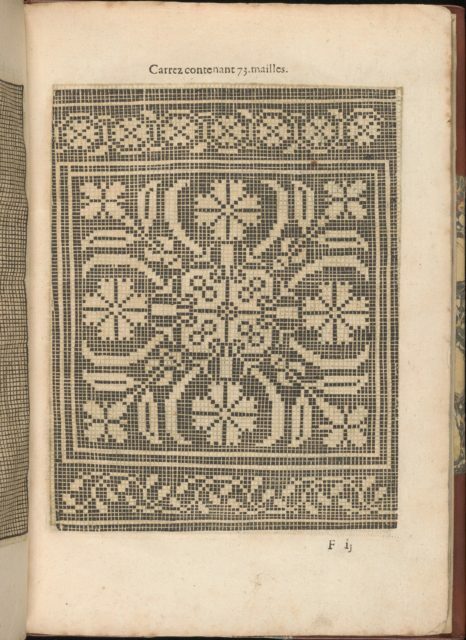 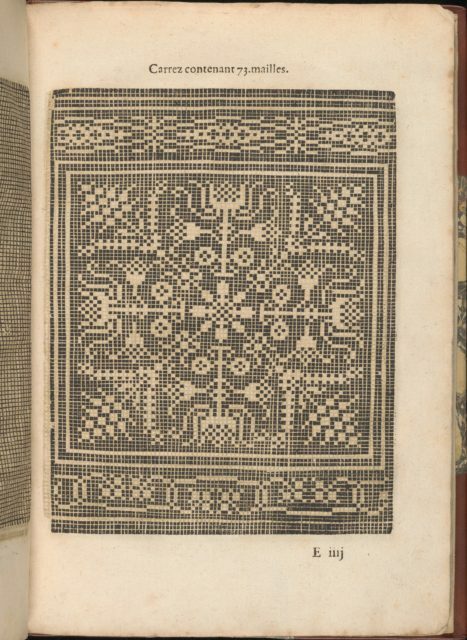 Bottom section consists of 4 squares that are ornamented with a different floral motif; sitting on top of the squares is a pattern of semicircles that are decorated with a leaf motif.